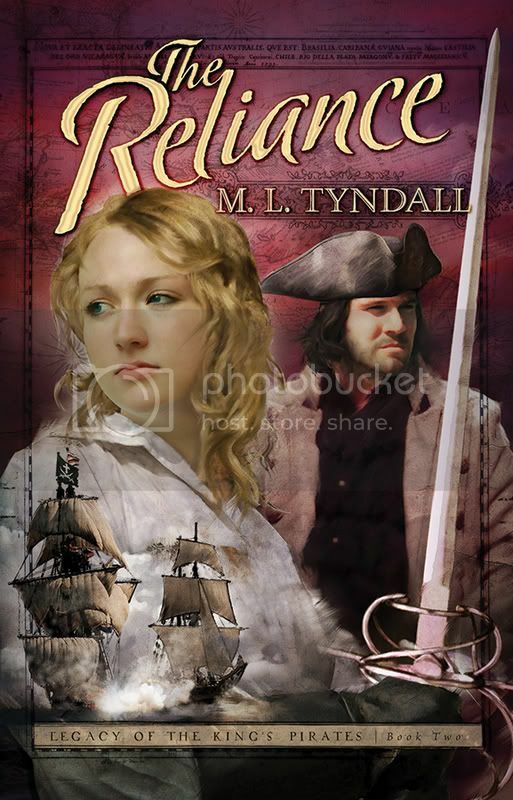 MaryLu Tyndall is back with the second book in her Legacy of the Kings Pirates series - The Reliance. Welcome, MaryLu, it's a great pleasure to have you here. We fell in love with your first book The Redemption and eagerly awaited the second. I love writing Inspiration Adventure Romance stories because it gives me a chance to portray spiritual truths in action through fascinating characters who go through tremendous challenges. It is my desire that people who read my books will be encouraged and strengthened in their own walks with God. The day my husband joined the Kingdom of God in a miraculous encounter with the Almighty. I’d been praying and fasting for him for many years and had nearly given up when the Lord gave my husband a “Road to Damascus” experience that forever changed him—and our marriage too! Wow! That's wonderful! I rejoice with you. How has being published changed your life? Since I signed my first publishing contract and became a full-time writer, I spend much more time alone, much more time in my own fantasy world, and much more time with the Lord. All of these are great things! I’m in the public eye a little more than I feel comfortable with, and I travel more than I used to, but I get up every morning and thank the Lord for blessing me with such a wonderful ministry. The Captain’s Bride by Lisa Tawn Bergren. I try to read novels that are in the genre in which I write—inspirational historicals, and this book is a great story of a ship’s captain and his new bride immigrating from Norway to America in 1880. Currently, I’m working on the first book in a new series entitled Charleston Belles about three sisters who live in Charleston, South Carolina in 1718. A couple of weeks on a deserted island in the Caribbean with my husband—no kids, no pets, no responsibilities—just sun, sand, peace and rest! I'm with you on that. How do you choose your settings for each book? I love romantic, historical settings that incite a sense of adventure, which is why in my novels so far, I have chosen the sea as a backdrop. Paul Hewson, or Bono, the lead singer and song writer for the band U2. Many people do not know that U2 is a Christian band, but if you listen to most of their lyrics, they are all about Christ. Although I’m not crazy about their music, I admire Bono, his intense and unwavering Christianity in the face of so much fame and fortune, and his undying love for the poor and starving in Africa. I would love to know how he keeps so determined and so dedicated in his walk with Christ. I'd love to see some of your paintings. Now what is your most difficult writing obstacle, and how do you overcome it? When I’m in a scene, there are so many things going on in my head—so many characters talking and events happening—that I have a hard time putting it into words that will adequately describe it to the reader so that he or she will feel they are actually there. Sometimes I spend hours on one scene. If I get really stuck, I put on some music or take my laptop outside, or go for a walk and pray. The Reliance picks up the story of Captain Merrick and Lady Charlisse, the two main characters from my first book, The Redemption. Newly married and carrying her husband’s child, Lady Charlisse can see nothing but happiness in her future until one night her world is shattered when the sleepy town where she is staying is attacked by pirates. As her husband, Captain Merrick, races her to safety, they are caught in a plot of hatred and revenge that deceives Merrick into believing Charlisse is dead while in truth, she has been captured by the evil pirate, Kent Carlton. Overcome with grief, Merrick turns away from God and returns to the life of piracy, while Charlisse must find a way to escape from the pirate ship, Vanquisher, rescue another lady held captive by Kent, and search for her husband amidst the savage seas before he falls too far into the debauchery of his old life to save him. The Reliance is a story about relying on God, and through the characters I hope to portray the ultimate test of faith every Christian goes through when tragedy strikes. Okay, that just moved to the top of my to-be-read pile. Readers, if you want a chance to win a copy, just leave a comment on this interview. In a couple of weeks, we'll choose a winner. If you can't wait that long, run (don't walk) to your favorite store and pick up a copy! Today Is a Winning Day! Dona Watson won a copy of One Step Over the Border by Stephen Bly. Atomic Kitten won Chocolate Beach by Julie Carobini. As soon as you send me your mailing address, your book will be on its way to you. You can click on the email link below my picture in the right column of the blog. There's still time to leave comments on interviews with the authors of Brothers of the Outlaw Trail and with Kate Lloyd. I met Kate online at ACFW. I'm happy to introduce her to you and tell you about her new book A Portrait of Marguerite. Kate, tell us how much of yourself you write into your characters. I recognize aspects of my personality in several of my characters, particularly the ones who long to be creative, be it in a painting studio, music room, in their garden, or in their kitchen. And I relate to my heroine’s struggling with her faith. I didn’t become a Christian until mid-life, and recall my first questions about whether God even existed. If my parents were still alive they’d say my quirkiest move was buying and operating Fast Eddies Restaurant in Bellingham, WA, in my late-twenties. But later on, they didn’t approve of my selling cars at four dealerships, either. Your life sounds really interesting. When did you first discover that you were a writer? I’ve always enjoyed telling stories, then writing poems and songs for my kids, now age twenty and twenty-seven. I made a stab at writing a romance on an old-fashioned typewriter, but left the manuscript unfinished. Then about eight years ago while journaling, the first pages of A Portrait of Marguerite seemed to pen themselves out on the page. Being what I like to label persistent (rather than slightly compulsive) I kept on going and going. Persistence pays off, doesn't it? Tell us the range of the kinds of books you enjoy reading. I’m a women’s fiction fan, and keep extras by my bed so I never run out. Besides enjoying a good read, I want to know what others in CBA and ABA are writing. Every morning I start the day by reading Nick Harrison’s Magnificent Prayer, a wonderful daily devotional. And I end my days reading the Bible. I have several women’s fiction manuscripts looking for homes. Stage Fright is the offbeat story of a wanna-be-soloist traveling through Great Britain with her kooky church choir. In Reinventing Ruthie, a newly single woman rediscovers her life’s purpose in the last place she thought to look. One of my biggest challenges in life is getting enough restorative sleep. To prepare for a restful night, I skip the evening news, climb into bed early and enjoy a good novel, then read the Bible. Over the last six months I’ve slowly worked through the Old Testament with the aid of Through the Bible with J Vernon McGee. If I’d had a daughter, I might have named her after my fabulous sister, Margaret, so Marguerite seemed a good choice for my heroine in A Portrait of Marguerite. I try to keep each name in sync with the character’s personality, but also different enough from other character’s names so readers can keep them straight. I had to learn that last part. My critique partners would tell me when names were too much alike, and I've had to change some of them. What is the accomplishment that you are most proud of? My husband and I are empty nesters and are very proud of our two sons. Also, the letters and telephone calls I’ve received from readers have given me great satisfaction and a feeling of profound gratitude. I will never get over the sense of amazement when I connect with a reader who is twenty years younger and hipper, or generations older and wiser. James and I are also empty nesters. If you were an animal, which one would you be, and why? I love dogs, but wouldn’t want to be one. I’m afraid I’m not obedient enough. And who could stomach all that dried kibble? Perhaps it would be fun to be one of the bald eagles we see soaring over our cabin on Camano Island, WA. For a day, anyway. I might overcome several of my fears (Too high! Too fast! Too scary!) at once. Recently I had to give up eating wheat. For this pasta and bread lover, it was agony at first. It makes my mouth water just thinking about a spongy loaf of Italian bread or a flaky croissant. Yummy! Luckily, my number one favorite food is dark chocolate. Whoever invented the flourless chocolate torte deserves a prize. Flourless chocolate torte? I haven't had one. I'll have to try that. What is the problem with writing that was your greatest roadblock, and how did you overcome it? Boy, was I naïve when I went into this writing business, and that was good because I kept jumping over each hurdle as it presented itself. What helped me most was going to writers conferences, joining a critique group, and developing personal relationships. I have thanked God many times for connecting me with generous writers, editors, and publicity folks. Even if I’d never been published, I would have been rewarded abundantly by the friendships I’ve made. A Portrait of Marguerite is the unique story of a Seattle painter who reclaims her artistic passion and learns about forgiveness. When single mom Marguerite Carr’s son leaves for college, she feels as though her life has lost its purpose. Then a friend drags Marguerite to a drawing class—her first since college—and she rediscovers her long-lost passion for painting, finds unexpected love, and begins a relationship with God. I hope readers will be inspired to get creative, themselves, and to love the Creator. Sounds wonderful, Kate. It's in my to-be-read pile. Thank you for spending time with us today. And check out the other interviews. You just might find some books you have to read. Cantnever just won a copy of My Soul Cries Out by Sherri Lewis. Please contact me with your mailing address. There's an email link under my picture in the right column. And there will be more winners this weekend. You could be one if you leave a comment on any of the open interviews. 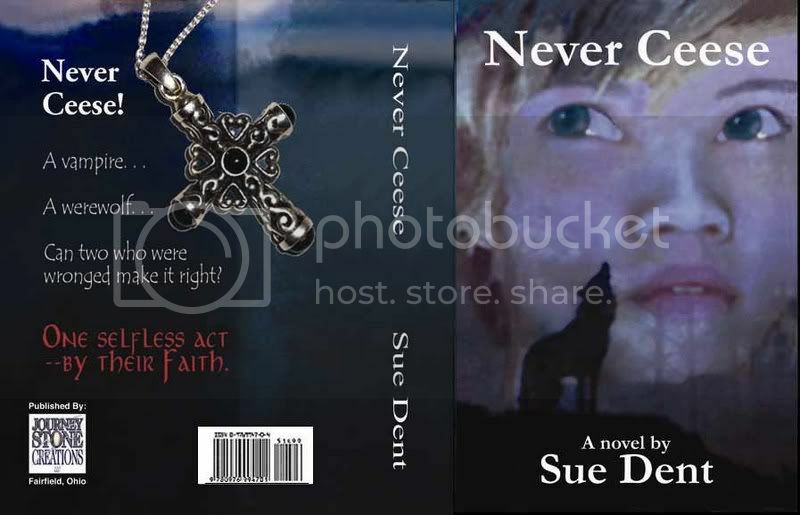 Sheryl just won a copy of Never Ceese by Sue Dent. Click on the e-mail link under my picture and send me your mailing address, so we can get the book out to you. Four of my good frioends wrote a wonderful collection together. 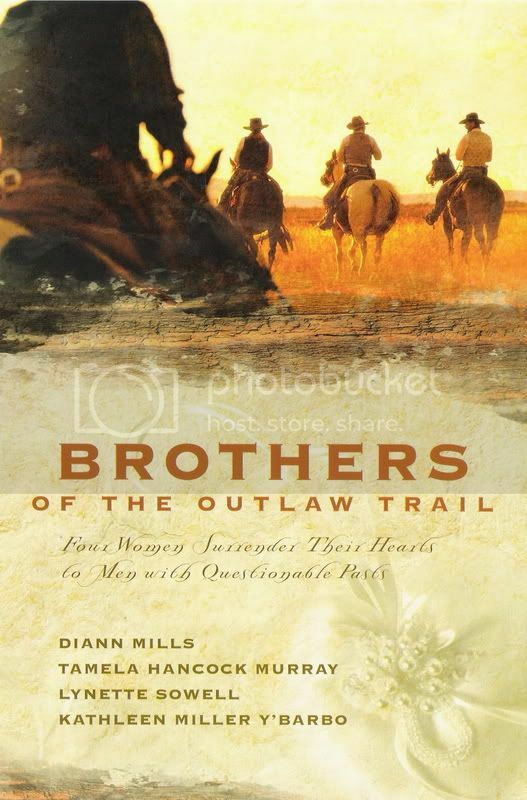 Brothers of the Outlaw Trail is the reuslt of collaboration between Lynette Sowell, DiAnn Mills, Kathleen Y'Barbo, and Tamela Hancock Murray. Not only is this collection a wonderful read, the stories have a lot of spiritual truth woven through them. Lynette, how did your story for the collection come about? As best I can remember, Kathleen and I started brainstorming one day about bad boy heroes, like outlaws. What if they were redeemed? What would happen after they put their lives together again, with God's help? Then came the Wilson family and eventually, their stories. DiAnn, what about your story? I think it was Lynette’s idea. Being from Texas, the bigger than life cowboy is a winner – especially outlaws who find the Lord. Kathleen, tell us about your story. While working on possible plots for the story, I asked myself what the worst thing to happen to an outlaw who’d found the Lord and gone straight would be. I decided the answer was three-fold: 1) he finds out he may still be wanted; 2) he’s mistaken for the sheriff; 3) the sheriff’s job comes with a mail order bride. Tamela, enlighten us about your story. I was working with the other wonderful ladies on the team and after the basic idea that my brother, Benjamin, the youngest, had been raised in a brothel, I thought about what that might be like for a little boy, and what type of man he would be. My story of a professional gambler, the woman he loves, and their redemption, developed from there. Lena: What are you reading right now? Kathleen: I am re-reading Little Women for the first time since I originally read it at the age of 9 back in 1967. Tamela: I’m going back and forth between several works written by Medieval Christian mystics. Lena: What other books have you written, whether published or not? Lynette: I've written three other novellas. My next releases in September 2007 – A Big Apple Christmas, with my first cozy mystery to follow in March 2008 – A Suspicion of Strawberries. 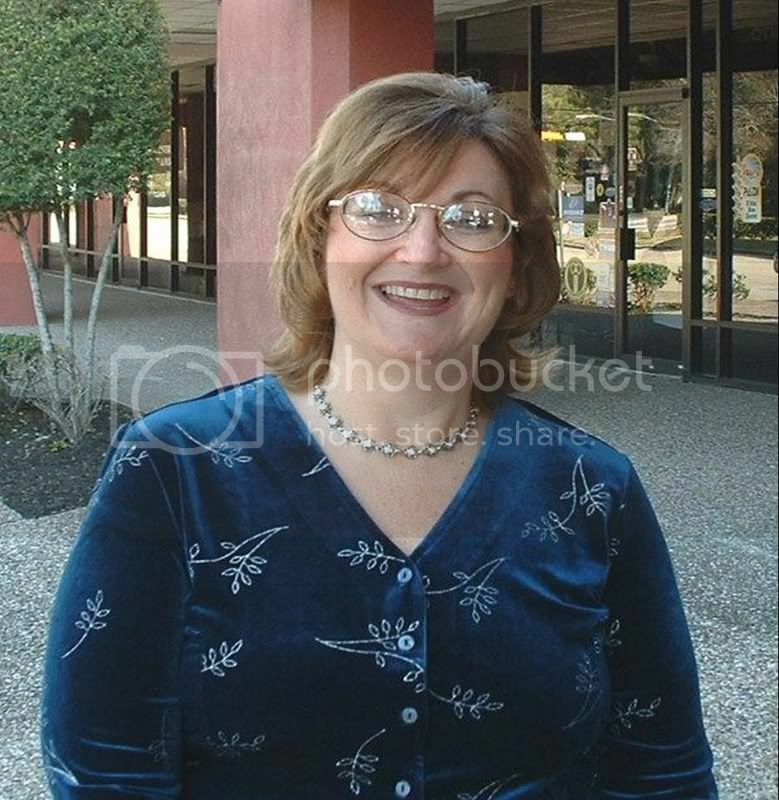 DiAnn: Around 40 – but my Texas Legacy Series is most like this collection. Kathleen: I have written 13 Barbour novellas, 8 Heartsong novels, 2 YA novels, 1 Barbour trade fiction historical, and 1 Barbour trade fiction repack. In addition, I just received a contract for another Heartsong, the last in the Louisiana contemporary series. Lena: What is the hardest thing about writing a part of a novella collection? Lynette: Remembering I only have a maximum of 20,000 words. This used to not be a challenge for me, but sometimes I can see the potential for a bigger story to develop. The key to remember about novellas is that you can have a deep story with developed characters—but the timeline is usually much shorter, and you have to get right to the action without sacrificing story or character (a good practice for whatever kind of book you write). DiAnn: Keeping the story short and not diving into too much plot! Kathleen: Sometimes the stories require detailed coordination in order to make the four stories transition smoothly. Timelines and character charts are essential to keep from trampling on other plot lines. Tamela: For me, the hardest is also the most fun. I enjoy working with teams, but I want to make sure that my story works with theirs. So far, judging from reader feedback, the collections I have taken part in have been successful in keeping each story fresh yet offering readers a compelling storyline. Lena: How did collaborating with this team impact you? Lynette: There is always a give and take when co-authoring an anthology, particularly if the stories involve one family around the same time period. Communication between co-authors is key because readers will always pick up on details and discrepancies. DiAnn: Teamwork and prayer. There were certain elements that had to be communicated to the other writers. This also develops flexibility. Kathleen: Working with this team was a blast. I love, love, love my co-authors and would happily write with them again. Tamela: I enjoyed collaborating with such a wonderful and talented team of ladies. Lynette, DiAnn, and Kathleen are all a joy to work with. This was my first Western, so it was a learning experience for me. I couldn’t have asked for a better team to work with on the setting! I hope we can all join our talents again in the near future. Lena: Sounds like another collaboration might be coming. How do you choose your characters’ names? Lynette: Sometimes I hear a name I like or think is unique. In this anthology, Reuben got his name because he's the oldest. I likened him to the biblical Reuben, whom I imagined for years felt weighed down for what he'd done to his younger brother Joseph. DiAnn: I have to laugh here. Normally I use a baby-naming book and research what the different names mean. This time I went right to the “gun” and named my hero after the Colt 45. Since this was called the “peacemaker,” I had a name for my novella. Kathleen: This is going to sound really odd, but the characters told me what they wanted to be named. As I began to work on the story, the names just evolved. Tamela: Benjamin’s name had been chosen before I agreed to write my story, and I like that name. I chose “Pearl” for my heroine because though she had a past, she regretted it and truly proved to be a jewel. Lena: There are as many ways to name characters as there are authors. What did you want the reader to take away from your story? Lynette: Sometimes we think we have to be good enough for God to love us, but we never have to earn His love. DiAnn: God’s unconditional love is for all. He gives each one of us a clean slate each time we repent and ask for forgiveness. Kathleen: That things and people are not as they seem, so do not be hasty to judge. Tamela: Redemption is possible, no matter what may have happened in the past. Lena: Why are you a member of American Christian Fiction Writers? Lynette: It's the organization to belong to if someone's serious about writing fiction. I was a member in the very early days, and it's been neat to watch it grow over the years. DiAnn: I’m a founding board member - #1 membership number. I was a part of the “birthing” process for an organization that reached out to writers to not only encourage and support them, but to teach and minister to each member. Tamela: I enjoy interacting with other writers and agents, and this organization is a great way make new friends and strengthen existing relationships. Lena: You-all are so right. My membership number is 42. I joined about three months after the organization began. Will you be at the conference in Dallas in September? Lynette: Yes, I'm looking forward to it. DiAnn: YES! I’m teaching Plots that Dance. Kathleen: Yes, I am doing paid critiques. Tamela: This is one time I wish I could be in two places at once, but a family commitment keeps me away this year. Lena: We'll miss you, Tamela. I'll also be at conference, and I'm doing paid critiques, too. What is the best piece of advice you received as an author? Lynette: Keep writing, keep reading, keep persisting, keep learning. DiAnn: 1. Read every day. 2. Write every day. 3. What you learn pass on to other writers. Tamela: I once read that if you write 1,000 words a day, you will have a novel in three months. In my view, this advice helps with goal-setting, and makes the unattainable seem attainable. What excellent advice! Okay, readers, be sure to leave a comment for a chance to win one of the free copies we'll be giving away. There's still time to leave comments on the interviews with Shrri Lewis, Stephen Bly, and Julie Carobini. I'll be choosing a winner for Sue Dent's book later today. 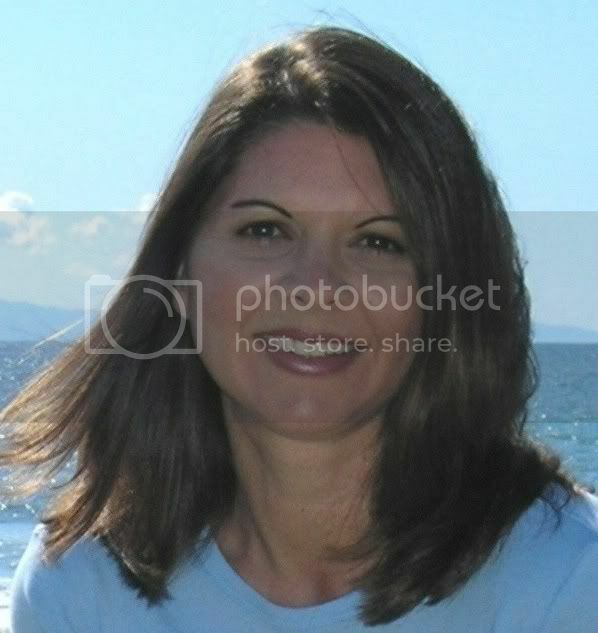 Julie is an online friend in American Christian Fiction Writers. I hope I get to meet her at the national conference in September. 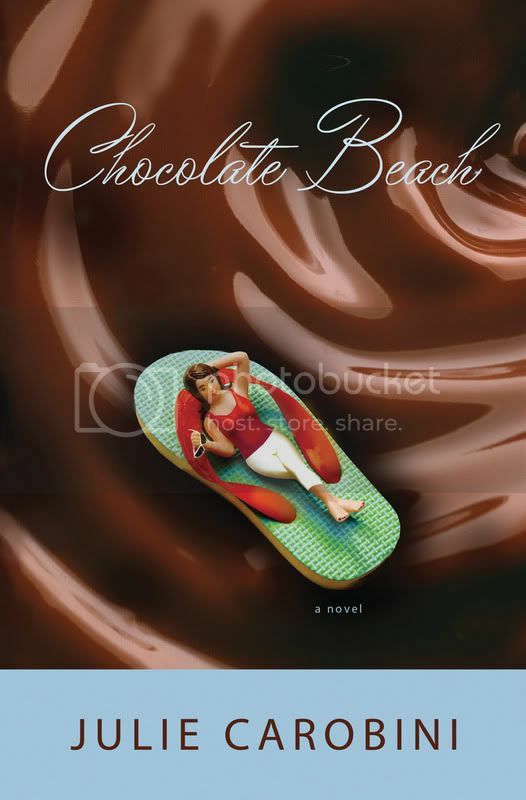 I just love the title of her book - Chocolate Beach, and the cover is awesome, as you'll see later in the post. I’m a beach lover married to a lawyer, so some people assumed my first book was autobiographical. Ha! That was before they actually read it, that is! Seriously, I’ve found that sometimes I start with things I know—like marriage to a busy attorney—but then veer wildly away from myself. I also write about characters who fascinate me, yet are nothing like me. Like Bri’s boss, Ty, in Chocolate Beach. That man thinks in buzzwords, often to the exclusion of sense. He made me both laugh and cringe. Second grade! Seriously. I became a voracious reader about that time, and knew I wanted to write. My late grandfather was an entertainment reporter and playwright, my father writes on the golden age of film, and my mother has also been published multiple times. So I guess it’s in the blood. Sounds like a legacy to me. Tell us the range of the kinds of books you enjoy reading. I got hooked on Chick-lit about five years ago, and read them often. I also enjoy other types of contemporary women’s fiction, and I try to swallow at least two literary novels a year—just to feel ‘smaht’. I wrote two novels that didn’t sell, both romance. However, one of them opened the door to the sale of Chocolate Beach. Charlene Patterson, my acquisition’s editor at BHP, was kind enough to read one of those novel submissions and then give me feedback on it—even though her house did not pick it up. When I felt I had a winning idea with Chocolate Beach, I sent it to Charlene and there you go! Actually, I’m often overwhelmed, so I pray a lot—and that brings me a supernatural kind of peace. I’m committed to attending regular Bible studies too, because they help me stay focused on what God thinks about my busy life! I also jog on the beach and drink tons of coffee. Meanings are as important to me as the sound of it rolling off my tongue. I have a dog-eared copy of a baby names book that I use. I also visit various baby name websites. Once I find a name that sounds good to me, I check its meaning. This actually takes a big chunk of time, but to me it’s worth it because these characters and I spend a long while together, and hopefully readers will as well. That by the grace of God I’m learning to love people, quirks and all. Not perfect, mind you, but learning. A dolphin because they love to frolic in the sea—and they scare away the sharks! Um, that would be double chocolate fudge brownies. Tell me you’re not surprised. Of course, I'm not. What is the problem with writing that was your greatest roadblock, and how did you overcome it? Finishing what I started. I often became (and sometimes still do become) hijacked by fears of rejection, fears that what I’m writing makes no sense at all and isn’t the least bit interesting. I’m in awe of those writers who’ve stayed the course, even though they have yet to find a home for their manuscripts. Knowing that other writers are out there giving it their all inspires me to do the same. Readers, see what I mean about the cover. Couldn't you just dive in? With Chocolate Beach, I was able to write about two of my favorite things. Well, three actually: chocolate, the beach, and a God-led life. Heroine, Bri Stone, loves her life as a laid-back "beach girl" with an older distinguished husband, a surf-ridin' teenage son, and a kicky job as a Southern California tour bus host. But her rose-colored sunglasses crack when she discovers evidence that her husband is tired of her carefree ways. The question is, can Bri reinvent herself—and recapture her husband’s heart? As a Christian, I know there’s hope. There’s always hope. So while my novel is about missed cues, self-absorption and unintended consequences, it’s ultimately a story of grace—wrapped in a (hopefully) entertaining and delicious package. Thank you so much Lena for inviting me to visit your blog! If you or your readers would like to know more, please stop by my website: www.juliecarobini.com or send me a hello via email to Julie@juliecarobini.com . And thank you, Julie for spending time with us. Readers, be sure to leave a comment for a chance to win a copy of Chocolate Beach. You'll be glad you did if your name is chosen. There's still time to leave comments on the posts by Sue Dent, Sherri Lewis, and Stephen Bly. We had so much fun when Stephen Bly was our guest that I've asked him back to tell us about his newest book release, One Step Over the Border. Stephen, tell us about yourself. I’m a pastor, a mayor, an antique Winchester gun collector and a writer. I’m also a fan of Jimmy Buffet music. What do these diverse avocations have to do with each other? In every field I want to grow as a person . . . push myself and my skills . . . my understanding . . . my spirit. I’m not a sit-around-and-let-life-come-to-me kinda guy. I want to dive in and change things for the better, if I can. I write a lot of fiction books, all from a Christian world view. Being pastor helps me stay focused. 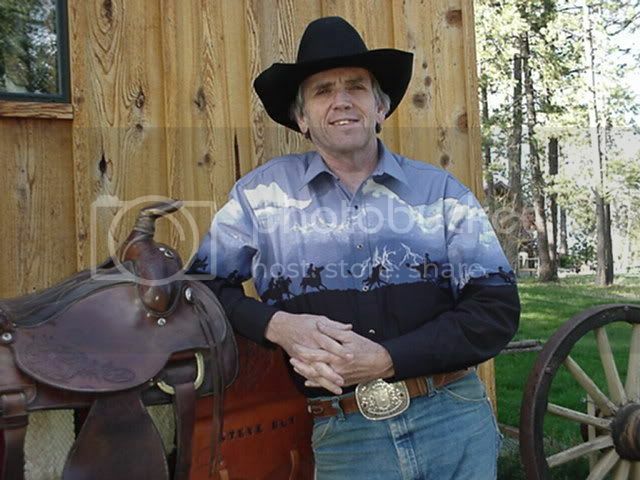 I’m mayor of a town of 308 in the mountains of Idaho, on the Nez Perce Indian Reservation. That keeps me very western. And I collect old Winchester rifles, which reflects my love of historical accuracy. And Jimmy Buffet music? Hey, there’s not a whole lot of difference between a pirate and an outlaw. I write about the West (historic or modern) from the inside. Born and raised on western ranches, I have both the heart and mind to describe things as they really were . . and are. There are those who think the frontier has long passed and with it the "code of the west." The truth is, both are still around . . . and it’s fun to show that in a contemporary story. The West is so big, so diverse, so enchanting it’s a thrill to write about it in any era. What would you like to tell us about the book? Here’s a blurb on my newest book, One Step Over The Border . . .
It’s a romp. A road adventure. It’s a buddy story with romantic comedy. Some call it CowboyLit. Rodeo cowboy Hap Bowman’s on a search for Juanita, the gal of his dreams, whom he hasn’t seen in 18 years. He seems stuck on 12-years-old and the enchanting girl he met then. "An idiot obsession," his roping partner, Laramie Majors, chides. But Laramie agrees to a final summer’s trek along the Rio Grande. If they don’t find Juanita during those months, Hap promises to drop the idea of the hunt for the mystery senorita. But if they find her, will she feel the same as Hap does about their years ago interlude? In One Step Over The Border the time tested values of cowboys rub up against contemporary mores. It’s a crazy story that becomes more logical as the reader delves deeper into it. It will make you laugh and shed a tear or two. I hope you’ll find some new life-long friends in Hap and Laramie, like I have, and that they make you think about your own ‘idiot obsessions’ in a fresh, fun way. Have I ever had one? Are you kidding? Being a full-time fiction writer is an idiot obsession all its own. Most people have the good sense to avoid such an occupation. Getting back to Hap’s pursuit . . . don’t we all have someone in the past, that we knew for only a short while, that we wish we could have known better, longer? I know I have. So when Hap and Laramie ventured out on a quest for Hap’s Juanita, I decided to invite others to go along too. Folks have been e-mailing Hap http://www2.blogger.com/hapandlaramie@yahoo.com and asking for their own “Juanita Search Kits.” They get a bumper sticker, magnet, bookmark, stickers, flyers, etc. It’s a whole packet of material that will equip anyone to join the fun of finding the Juanita with “the mark of God.” If they send Hap a picture of the places where they stuck their Juanita signs, they’ll receive a free copy of the book. It’s all there on the website at http://www.onestepovertheborder.com/ . . . .
How would I describe the "most likely reader? Or what 'felt need’' does this book meet? While the book will appeal to both men and women, I believe, by sheer numbers more women will read it, especially country gals with cowboy-on-their-mind kind of hearts. While people often talk of women looking for knights on white horses, many gals have at one time longed for a tried-and-true cowboy on any color of horse. So this tale has that kind of appeal. Plus, the drive to find that one person, the one you can’t forget, lingers in the mind of all romantics. And we all have a desire to find the "right'’ person who will share the ups and downs of life, to be searched for and found, or to complete something we promised ourselves long ago. We also really want to do the right thing, even if no one knows it. That drive often makes us take a stand against pesky odds. This story’s also about friendship, being there through all the struggles and mistakes and quirkiness. In that way, it’s a satisfying and yet surprising story. And there’s a very special feature on http://www.amazon.com/. . . some more adventures about Hap and Laramie that did NOT appear in the book, can be found on AmazonShorts in the story entitled, Aim Low, Shoot High. Stephen sent us an excerpt from the book for you. The yellow dirt road that stretched before him reminded Laramie Majors of the countryside around his grandparent’s place in Oklahoma. Miles beyond the blacktop sat their two story, white clapboard house with a front porch swing and sweet tea that tasted a bit sinful if you’d just come back from church. As a kid, those trips north lined a route of escape from the tension of home and invited him to a different world. At Grandma’s house, no one yelled. No one got hit. And Mamma never cried. But the parade of gray sagebrush, dull green scrub cedars and squatty pinon pines on the rimrock reined Laramie back to Wyoming. Yellow grime fogged after his truck like a swarm of South American ants, creeping like a disease across the fenders of his silver Chevy pickup. Dwight Purley told him to take the short-cut through the south end of the Big Horn Mountains. But Dwight presumed Laramie knew more about Wyoming geography than he actually did. Although the blond gal with stubby pigtails and logger’s biceps at the Sinclair gas station assured him this was the right way, he now found himself grumbling over her apparent misdirections. He questioned again if he should have stayed on the pavement out of Casper. This endless dirt road didn’t have the feel of a short cut and the fuel gauge had dropped near empty. He hadn't seen a ranch, a rig, or an occupied cabin for miles and didn’t know which direction to walk to find gas. He considered turning back, but the drive to make it there today pushed him over the next hill. He promised himself he would not go back to Texas a failure. It was a promise he intended to keep. Laramie smeared the dirt off the dash and slapped the front of the fuel gauge in hopes that it was stuck, then punched off the CD player. As he crested the hill, he slowed to a stop as two dozen pronghorn antelopes ambled across the road. They turned to gawk at his rude intrusion. He stared back at their blank, clueless expressions, wondering how many times the same look plastered his own face. The thin blue Wyoming sky unfolded to the west. Hills gave way to rolling sage and brown grass prairie. As he dropped down into a cottonwood draw, he spied a log cabin. Its battered shake roof sported a new satellite dish receiver. Thick gray smoke curled from the chimney. A girl about ten scampered from the outhouse wearing red striped shorts, cowboy boots and a Nike t-shirt. She waved, then disappeared into an unpainted barn. Laramie waved back. She was the first person he’d seen in almost an hour. Eight miles further west he reached Highway 20. He turned north and followed the green highway signs and bright hotel billboards that lured him towards Cody. He rolled the windows down, hoping to blow out some dust. And memories. Majors parked his pickup under the only shade tree on the level street. He studied the scrap of scribbled brown paper: Hap Bowman, 2490 Paradise Road, Cody, Wyoming. The home looked like a 1960s tract house, only there were no other residences. No landscaping. No parks. No sidewalks. No neighborhood improvement association. Just one dwelling in bad need of paint on stucco with fake brick walls. The wide, empty street led to nowhere. Laramie fastened the top button on his collar and practiced a crooked smile in the dusty mirror. He knew it was time to cowboy up, to get his small talk in gear. No one discerned how tough it felt for him to meet new people. A 1992 black Dodge truck was backed into the driveway. Behind it, on eroding blacktop, a wheelless Volkswagen van perched like a miniature diner, propped up by cinderblocks and weeds. A battered canvass awning stretched out the side. A dust devil that spawned in the vacant lot next to the faded green house seemed reluctant to leave. Laramie watched the dirt swirl a moment as if waiting for an oracle to make a pronouncement. An aluminum screen door hung crooked, slammed too hard, too often. A half-built front deck stretched out into sun burnt grass, its gray-bleached boards a testament to a long abandoned building project. The black dog asleep on the porch defied pedigree, but Laramie noticed a huge pink tongue hanging out. Once again, he studied the penciled note, then surveyed the yard. He detected no horse. No barn. No corral. No run-in shed. Not even a plastic steer head stabbed into a bale of hay. Not one sign that this guy ever practiced roping. When Laramie reached the front step he patted the dog, but the animal showed no interest in him. Afternoon heat reflected off the walls like a radiant electric heater in winter. Laramie longed for the comfort of a glass of Grandma’s sweet tea or the throat clearing rush of an ice cold beer. He scraped open the busted screen door, hesitating to knock on the peeling white paint of the wooden one when he heard a blast of angry Spanish words, followed by a loud crash and a yelp. Even the dog flinched when the lid to a white porcelain commode busted out the front window, scattering glass on the unfinished deck. The wooden door flung open. A black mustached man about Laramie’s age sported a black, beaver felt cowboy hat and several parallel streaks of blood across his cheek. The shorter man grabbed his outstretched hand and yanked him indoors. “Man, am I glad to see you.” Then he barreled outside, the door slamming behind him. The room reeked of garlic and dirty diapers. A divan sprawled backwards. A slice of pizza plastered the wall. Majors heard a roar from the yard and peered out the busted window in time to view the Dodge pickup spin out into the street and head south. The bristles of a broom smacked Laramie’s ear. The surprise, more than the impact, staggered him into the trash covered pine coffee table. He cracked his shin and hopped around the room trying to flee his attacker. “Who are you?” the dark haired lady snarled. Her full lips were painted as red as her long fingernails. The brown skinned woman yanked open the gauze curtain. “It figures he’d run out on me.” She spun back. “What are you staring at?” She grabbed up a jar of baby food and cocked her arm. A full, stained yellow t-shirt hung outside her skin tight jeans. Bright yellow round earrings dangled even with her chin. Smeared mascara darkened her sad eyes. Slumped shoulders belied her feigned defiance. “I’m sorry for whatever’s going on here. But I never met Hap before. I have no explanation for his behavior. I’m a roper and I was told that . . . "
The pureed peaches sailed at his head. Laramie ducked. The glass jar crashed into the black iron table lamp which tumbled to the soiled green shag carpet. “What he did to me wasn’t right.” When she tossed her head back, a wave rolled down the massive black curls. Wow, I can hardly wait to read the rest. Thank you for coming by Stephen. 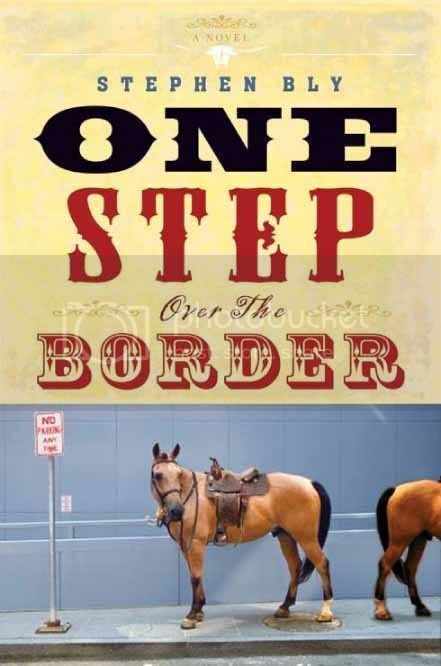 Readers, leave a comment for a chance to win a copy of One Step Over the Border. 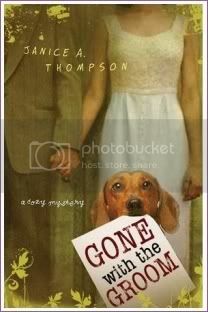 "The Write Life" has won a copy of Gone With the Groom by Janice Thompson. Click on the email link under my name and send me your mailing address. There's still time to leave a comment on the interviews with Sue Dent and Sherri Lewis. We give away a lot of books on this blog. Someone wins them. It might as well be you. Leave those comments to be eligible. Sherri and I have become friends through ACFW. I often send her books for her patients. Sherri, tell us about yourself? By day, I “minister” as a physician in a state women’s prison. By night, I can be found writing, singing, and worshipping or teaching my women’s Bible study. I’m a creative soul and love to do anything that expresses the Kingdom of God. My Soul Cries Out addresses a controversial issue in the world of Christianity that few will talk about and even fewer have an answer for. It deals with Christians struggling with the spirit of homosexuality and the power of God to bring deliverance. That truly is controversial, but a definite problem in the Christian world today. What inspired you to write this particular book? Quite honestly, I didn’t set out to tackle such a huge, difficult, volatile issue. It started out as therapy for me – I wanted to write about what a woman deals with while going through a divorce. I needed to create a situation where even the most devout Christian would say it was okay for the heroine to leave and thus the premise was created. I never expected the ending to turn out as it did, however. I’ve met many people struggling with the spirit of homosexuality over the years and there seemed to be no help for them. I feel that if more Christians talk about it rather than make it the church’s dirty little secret, maybe we can find solutions. That's so true. Tell us a little about your main character and how you developed him/her? My main character is a woman who discovers that her husband, the minister of music at their church, has had a lifelong struggle with homosexuality. As I mentioned, a lot of her feelings and reactions were based on my own struggle with divorce (not for the same reason) at the time. What did you enjoy most about writing this book? And the least? I enjoyed discovering that I have a sense of humor. I hated dealing with such a sticky issue and praying and hoping that I heard God on how to deal with it. What has been the most unexpected challenge you’ve had with becoming a published author? Getting published! Especially since I don’t write nice, sweet, CBA-friendly fiction. Of course, now more and more publishers are accepting more gritty subject matter. What one bit of advice would you give to aspiring writers? Read as many craft books as you can and perfect the art of writing. It’s not just about having a good story. It’s about telling (or showing) a good story. Yes, too many aspiring authors start submitting a work before it's time. What authors' books do you enjoy reading? Kristin Billerbeck, Marilyn Griffith, Stacey Hawkins Adams, Claudia Mair Burney, Tia McCollors. What message do you hope readers gain from your novel? That there is hope and deliverance for Christians struggling with homosexuality. Dennis Jernigan, one of the greatest modern songwriters, was a former homosexual, who God delivered. His amazing thankfulness for his redemption shines through his music. Tell us what we have to look forward to in the future. What new projects are you working on? My second novel, Dance Into Destiny, will be released in January of 2008. It’s the story of an unlikely friendship between a purposeless socialite and a purpose-driven church mouse that leads them on a passionate pursuit of God’s destiny and balance for their lives. Readers, you can find more about her at www.sherrilewis.com . If you want a chance to win a copy of My Soul Cries Out, leave a comment on the interview. There's still time to leave a comment on the interviews by Janice Thompson and Sue Dent. 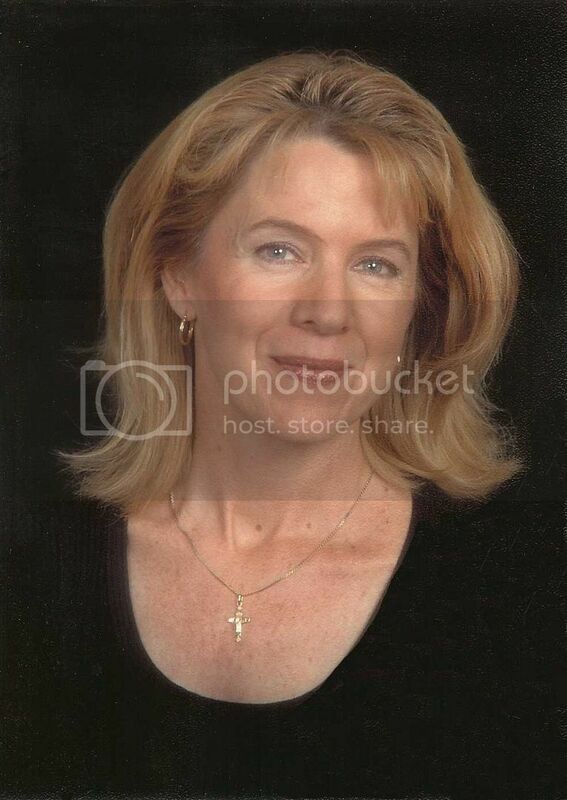 I met Sue through American Christian Fiction Writers. She has become a good online friend. I'm looking forward to meeting her in person. When I first heard about her book, I didn't think I was interested in it because of the subject matter. However, the Lord showed me some things about the subject matter. We serve a mighty God, a God who wants to redeem lives. He doesn't like for enemy to have a victory in any person's life. Sue's book is about redemption in a way that many of us never experience, because we don't need it. There are many people who need to understand the kind of redemptive power of God that is depicted in Sue's book. I'm praying that many of them will pick it up because of the cover and then hear gospel of truth in its pages. Sue, tell us how much of yourself you write into your characters. I honestly can’t say whether I write myself into them. I would say there’s a little of me in each of them. Rodney and Richard are very skeptical, so am I. Cassie’s often too trusting. *raising hand slowly* Ceese is tenacious! Yep! Okay, I guess I do write a lot of myself into my characters. I USED to read a LOT of fantasy; Piers Anthony, Roger Zelazny. I absolutely loved the Chronicles of Amber. But now I’m a John Grisham fan, more or less and still enjoy a good fantasy now and again. I have at least two stories complete. One is actually a modern day Western/rodeo type novel. (very good I might add) And the other is hard to describe. It would definitely fit into the fantasy/sci-fi category and one particular friend of mine is anxious for me to publish it. But HA! I’ll need a lot more help from any publisher to be encouraged to publish either one as I’ve expended about as much money as I can to get Never Ceese out there. Hmmmm . . . did someone tell you I was sane? I’d like their name and number as they are sadly misinformed. LOL I ask you, would a sane person write a vampire/werewolf novel and submit it to Christian publishers knowing they’d probably be knocked back at every turn? I think not! That’s a good question. I usually let the characters pick. There was a guy in school named Richard. He was very pale and I often speculated about his being a vampire. You must understand, this was Jr. High and my speculating was based on my boredom. I wanted a unique nickname for my female main character and I knew a man once named Cecil. He was often called Ceese. He was also called Red because he had red hair. I usually develop the character first, then the name. Of course, being on the preliminary ballot for a Bram Stoker award was a highlight. Being invited to the World Horror Convention at the request of Nicholas Grabowsky, author of Halloween IV, was another defining moment because this meant Never Ceese had been accepted into the secular market. And being book club choice for the month of April at the ACFW was also wonderful as this meant Never Ceese was also making its mark in the Christian market. But the accomplishment I’m most proud of, I’m claiming by Faith, and that’s being taken on by a CBA recognized publisher. Why am I so proud of this, by Faith, accomplishment? Because it opens the door for so many other good writers of speculative fiction who are Christians to be considered by publishers who are skeptical to take them on. Oh I can’t wait to see who gets Forever Richard! Before my fourteen year old became a vegetarian, I suppose a good hamburger. Perish the thought! Now I’d have to say mushroom quesadilla’s yum yum. Wondering if anyone could enjoy my writing as much as I did. My editor helped me fix that. Oh, and it’s not fixed yet. I’m still working on that aspect. But making great progress. Oh, it’s gooooooddd! But don’t take my word for it. Get a copy and read it yourself. Or go check out all the wonderful, mostly unsolicited, reviews. I love vampire/werewolf fantasy but get tired of seeing it presented under the guise of the occult. So many young people flock to this genre . . . I just wanted to give them something different to read. It’s even good if it’s not your usual genre or so I’ve been told. Your book is such a departure from what most people understand to be Christian fiction. How did you get the idea? Why did you write it? As to why did I write it, well, because I’m a writer and the story just came to me. Why did I write a vampire/werewolf fantasy? Because I believe God wants to take this genre back. This genre is too dark and good Christian kids are being drawn to it and potentially influenced. Of course whether they’re influenced is up to them, I just decided to give them something different to think about. And it seems Never Ceese has made somewhat of an impact in this area! Remember, readers, the winner of a free book will be chosen from those who leave comments. If you love fantasy, or especially if you know a young person who is into this genre, leave a comment. 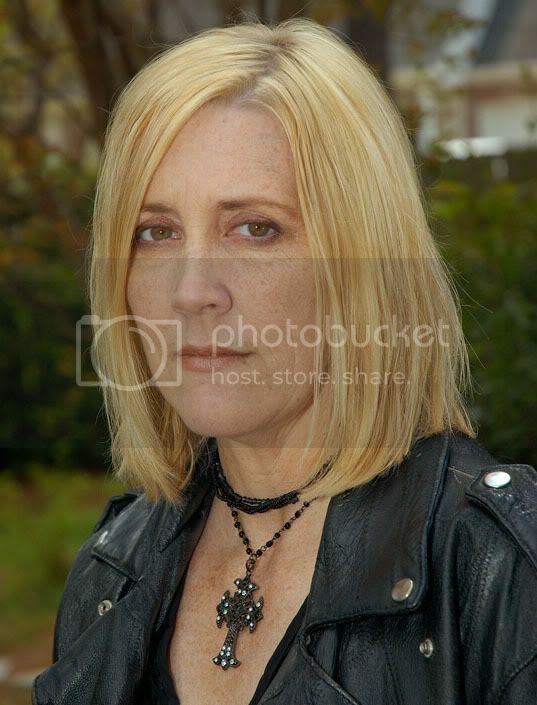 There's still time to leave a comment on Janice Thompson's interview. Nancy Toback had so much fun with the interview, she decided to give away more than one free book. In addition to giving a free copy to CarolynnW, she will also give a copy to CherieJ, ChristiJan, ElizabethThompson, Miss Reader, and Tetewa. If you are one of these people, please e-mail me your mailing address, so we can get the book to you. Judy G won As I Have Loved You by Nikki Arana. Carolyn W won Anna's Journey by Nancy Toback. Remember you still have time to leave a comment on the interview by Janice Thompson for a free copy of her book, and another interview will go up by tomorrow. . . .from the people who are part of the critique group that meets in my home. I'm including pictures from the 2006 conference. 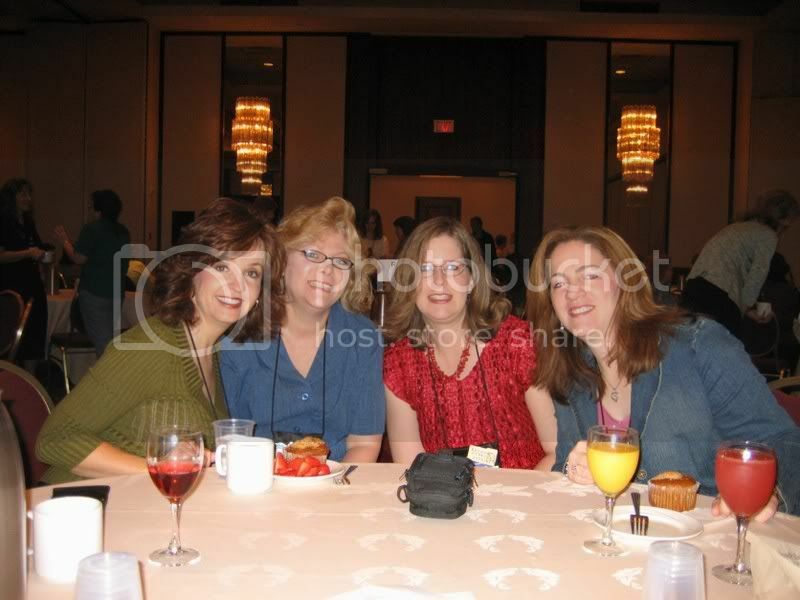 In this first one, Lynne Gentry, Beth Goddard, Lisa Harris, and Ronie Kendig are enjoying breakfast together. Here are Lynne, Jackie Castle, Khristy Hullett, Jane Thornton, Patty Carroll, and Dawn Morton Nelson at the Saturday book signing. Last year I went to the ACFW conference for the first time and was impressed by the beautiful spirit of the entire event. Instructors, editors, agents, and attendees, all were willing to help one another fulfill their dreams to write a book and be published. It was a time of encouragement, instruction, and fellowship with others who are on this crazy writing journey. If you're serious about your writing, don't miss it. 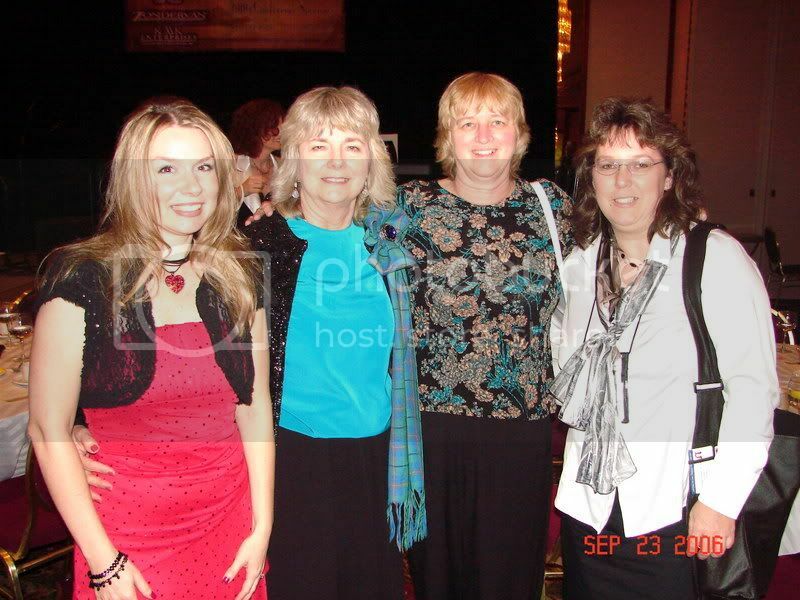 Lynne, JJ Overpeck, Saundra Kay, and Dawn at the awards banquet. My first ACFW conference was in Nashville. I was accompanied by my mentor, Lena Dooley who, as you know, is acquainted with everyone. The first night our room was Grand Central Station. As the conference progressed, I found myself in one of the most spiritual and loving communities I'd experienced. All of the published authors were so helpful and the seminars and meetings so informative, especially for a first-timer. All I can say is, "do yourself a favor and register now for the conference. It will be a lasting memory of inspiration and encouragement." 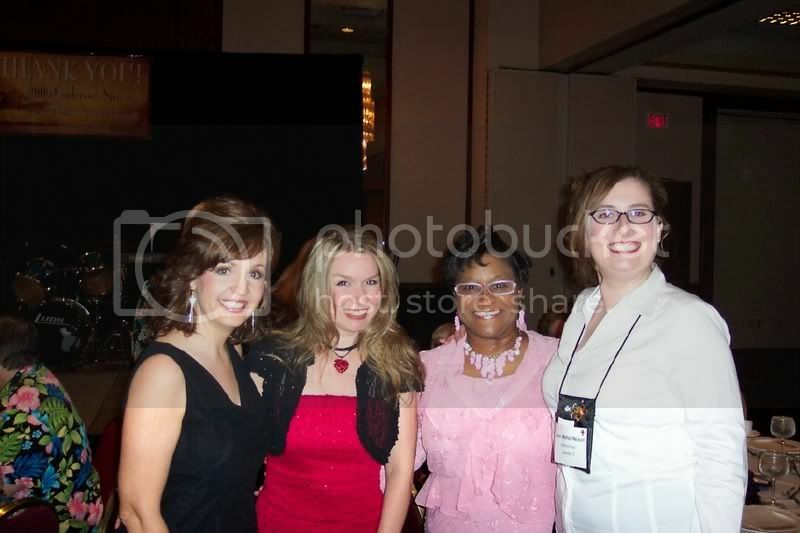 Lynne, Lisa Harris, Khristy, Diana McKinney, and Jane at the banquet. JJ's husband is in the background. I've gone to all six national conferences. It has been a joy to watch the organization grow and mature and touch so many lives. I love being about to hug the friends I spend so much time with online. The worship is phenomenal as are the speakers. The opportunity to become friends with agents and editors as well as other authors fills my cup. 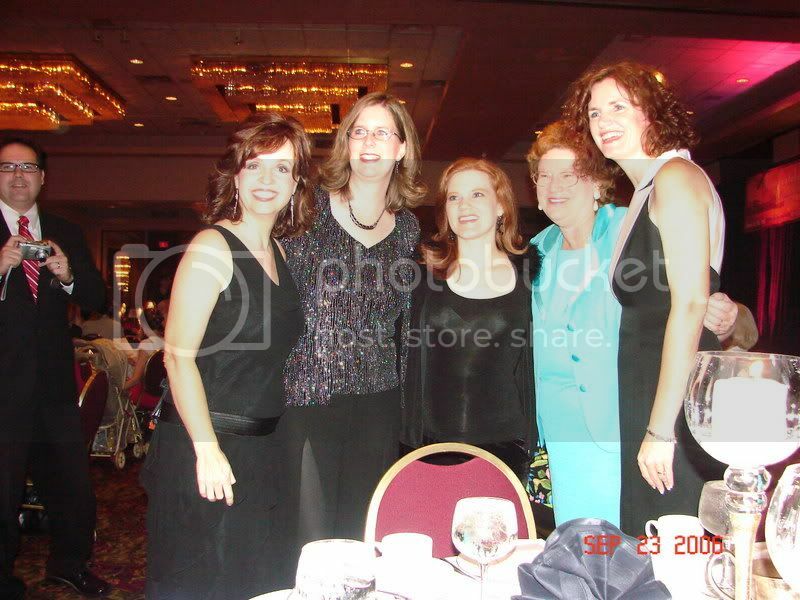 JJ, Margo Carmichael, Patty, and Jackie at the banquet. I couldn't write about the last conference without at least mentioning the great honor that was bestowed on me. Being named Mentor of the Year means a lot to me. It's the first trophy I had ever received. 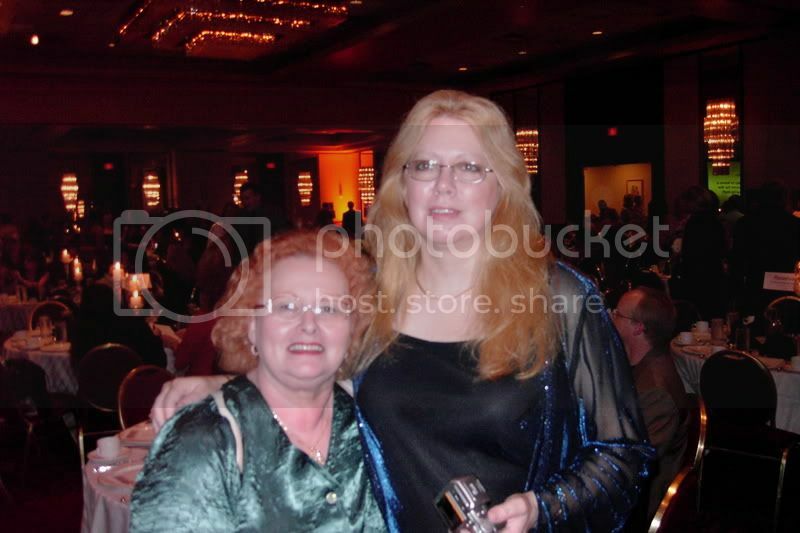 Here I am at the banquet with Candy Speare, who used to come to my house and has moved away. I still consider her part of the group. Some members of our group won awards. 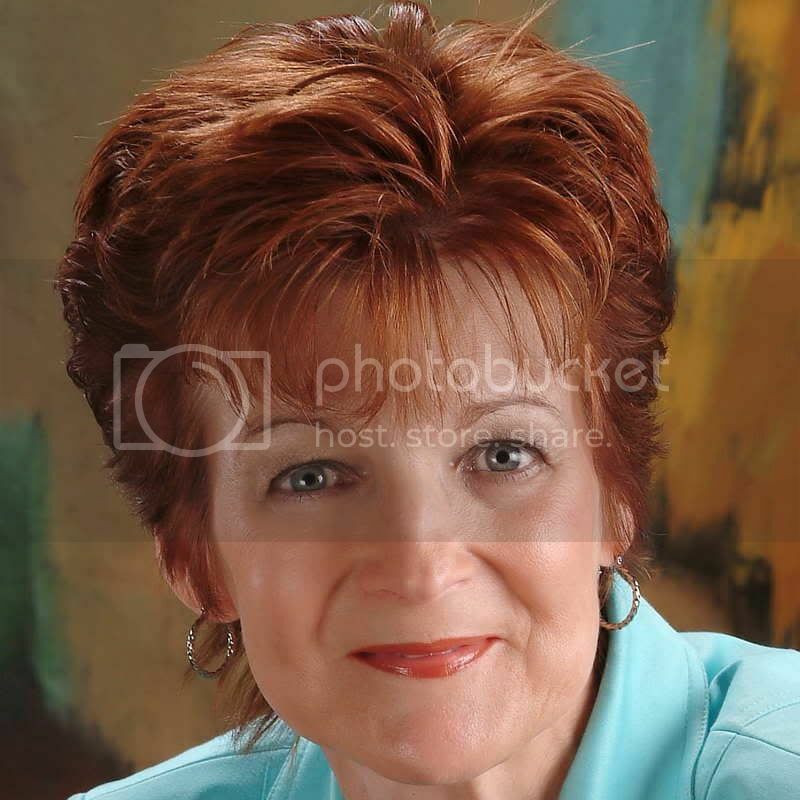 Lynne Gentry took second place in the General Fiction category of the Genesis contest. 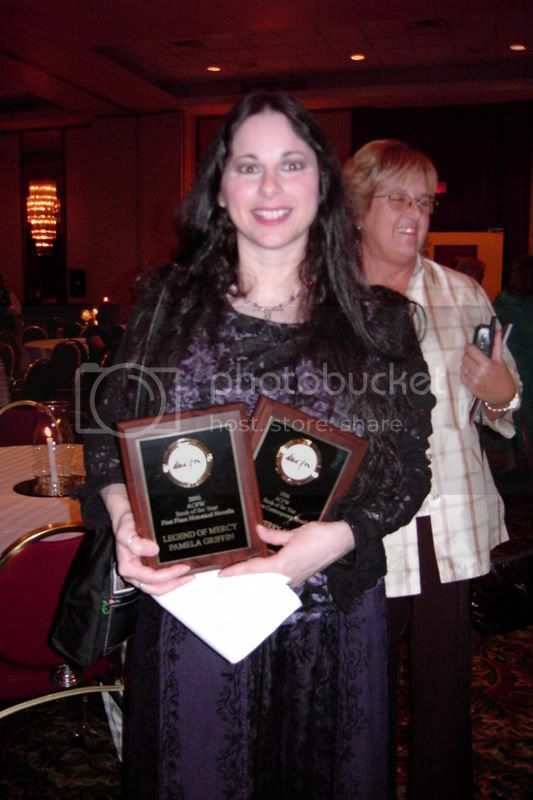 Pamela Griffin took first place in the Book of the Year contest in two categories. We're really proud of both our winners. By the way, that's Wanda Dyson behind her. Wanda, assisted by Candy Speare, does a bang-up job of scheduling all the appointments. The woman is extremely talented. 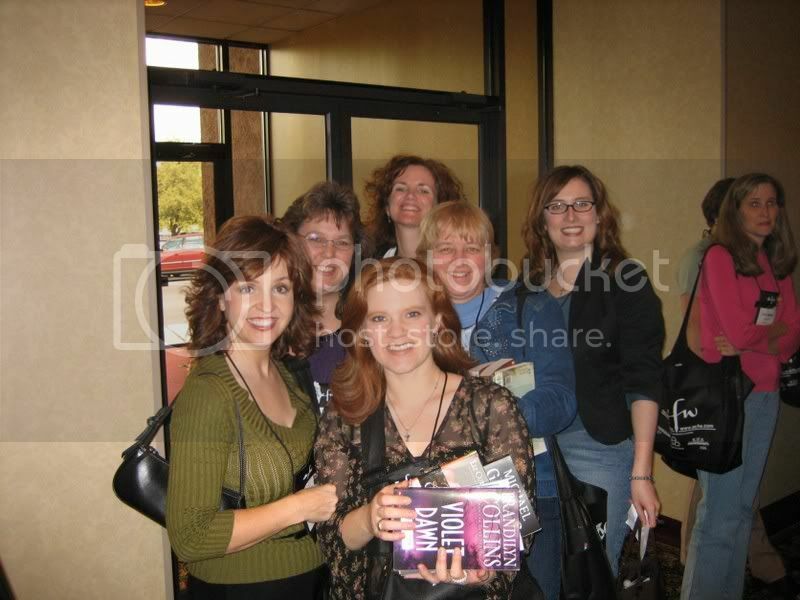 I often tell people that the ACFW Conference is the premiere event in Christian fiction. I'm always urging authors to make a way to attend. The benefits far outweigh the amount of money you'll spend. And the friendships that are forged or deepened will last through time. So sign up for the conference if you possibly can. 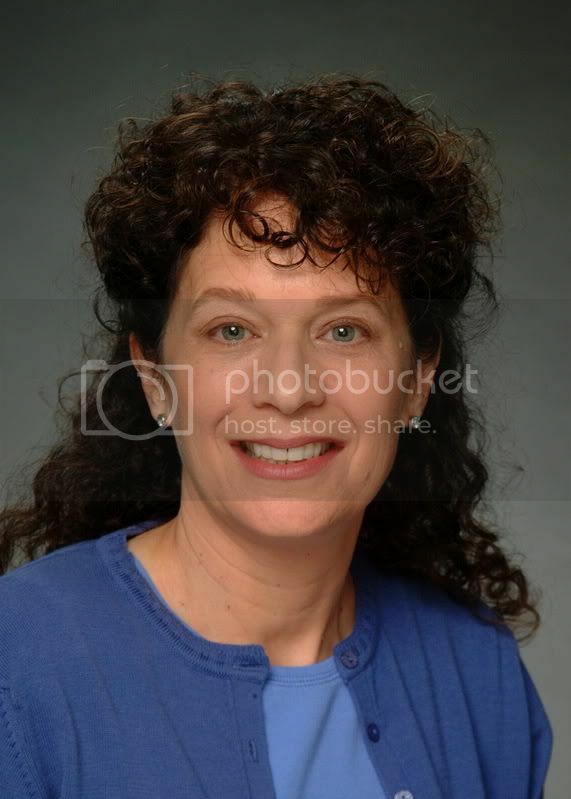 I've already introduced you to my friend, Janice A. Thompson. And I hope you read her first cozy mystery, The Wedding Caper. Now we're going to introduce the fun sequel from Janice's Bridal Mayhem Mystery Series, titled Gone with the Groom. 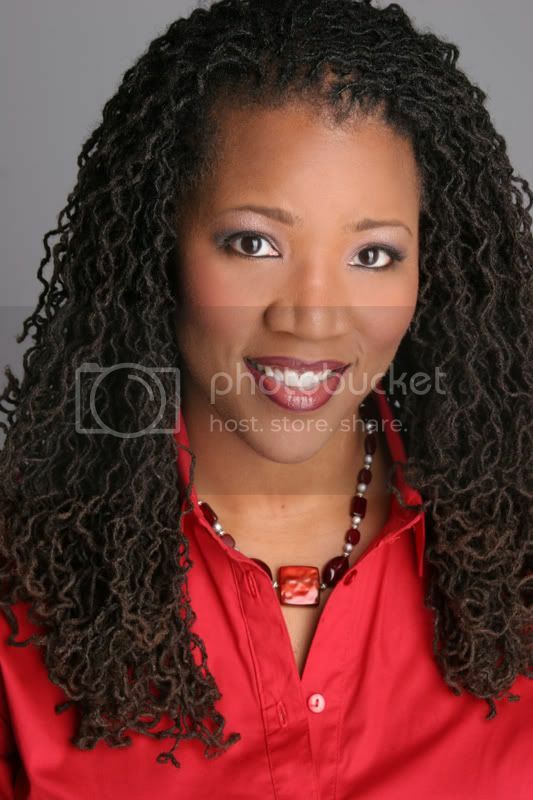 But first a little about Janice: Author Janice A. Thompson lives in the Houston area. In 2004, her two oldest daughters both received proposals within weeks of each other. The weddings came off without a hitch! 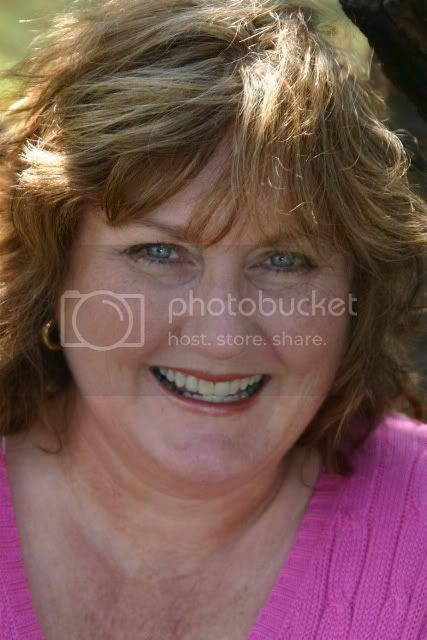 Janice has since coordinated weddings for friends and is thrilled to incorporate many of her adventures into her novels. Janice, what book is coming next? There will be three more Annie Peterson mysteries after this one: Pushing Up Daisies, The Perfect Match, and Catering to Disaster. They will all be released as part of the new mystery line at Barbour Publishing (Heartsong Presents Mysteries). I just turned in a Heartsong romance titled White as Snow- about a young woman who can't stand football. She lives in the Pittsburgh area, and eventually (of course!) falls in love with a professional football player. I had a lot of fun writing this one. Why, you ask? Because I'm not a football fan! Figure skating, yes! Gymnastics, of course! Football. . .are you kidding? Sounds like we all need to read that last one. How do you deal with your other obligations (family, church, etc.) when it's crunch time near deadlines? This has been a tough year for me. During the writing of Gone With the Groom, I lost my father to bone marrow cancer. It was an awful time for our family. Then, the week before the book was due, my married daughter (Randi) became very ill during her 33rd week of pregnancy and the baby (Madysen) had to be delivered early. She was only four and a half pounds, but (thank God!) is just fine now. Then, about the time the book went to the edit stage, my sister passed away very suddenly and unexpectedly. This week, as I began marketing the book, one of my best friends suddenly passed away. It seems like every time a tragedy strikes, I'm on some sort of deadline. I don't resent that fact, (though at times it's tough to keep going). I find the writing to be a blessing, particularly in light of the fact that I "need" the humor of lightweight stories like Gone With the Groom to bring a smile to my face. God always helps me with the obligations/deadlines part. I'm totally dependent on Him for those things. Wouldn't have it any other way. 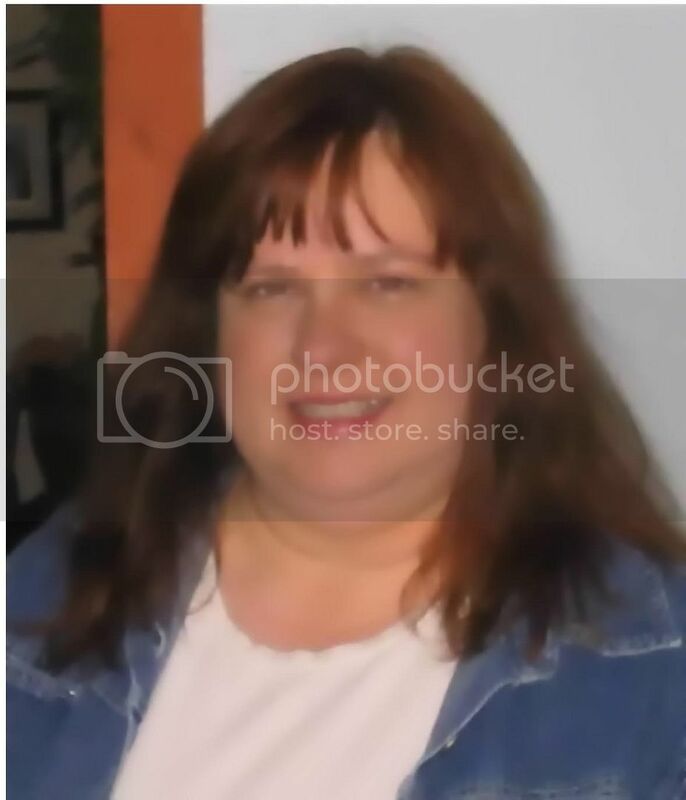 Janice, I know that you love worship music. What's your favorite worship song, and why? If you had asked me this question one year ago, I would have answered "Amazing Love." It's been my favorite for years. But this year, I'm very drawn to a song called "Praise You in this Storm" (by Casting Crowns). The lyrics are so true of my life right now: I'll praise you in this storm and I will lift my hands for You are who You are no matter where I am and every tear I've cried You hold in Your hand You never left my side and though my heart is torn I will praise You in this storm. (Praise You in This Storm, words by Mark Hall/music by Mark Hall and Bernie Herms) Trust me when I say that it is possible for believers to go on praising, even when the storms are blowing out of control around you. What do you crave (beverage or food) when you have writer's stress? I am addicted to Diet Dr. Pepper. And when I'm really needing a treat, I turn to Earl Grey tea (like Annie Peterson) or even Chai Latte. When all else fails, I reach for a piece of cheesecake. Where did you birth the idea for this book (and the series)? When? How did it come about? Did any of the experiences in the story happen to you personally? I have four daughters in their twenties. Two of them got married in 2004 within four-and-a-half months of each other. It was a stressful time, but I always knew I'd eventually be able to use the information in a story. Just about the time I thought I could rest, my third daughter got engaged. Her wedding just took place six weeks ago. Three down, one to go! As for how I decided to turn these books into mysteries (instead of traditional romances)... I asked myself the question, "What would you do if you had to pay for two weddings and didn't have the money to do so?" Out of that, the first book The Wedding Caper was born. After that, I got to thinking, "What would you do if the groom disappeared just before the wedding?) Out of that, Gone With the Groom was born. And so on, and so forth. If your book was turned into a movie, who would play the main characters? Wow. Never thought about that before. Who would play Annie Peterson? If she were still alive, I might pick someone funny like Madeline Kahn. If she were younger, maybe Carol Burnett? Diane Keaton might work, (though, Annie is really only turning 50, so even Diane might be a bit too old). As for the twin daughters, I think it would be fun to have someone like Jennifer Garner play dual roles. Or, hey...what about the Olsen twins? They could split the workload, and they're about the right age. As for the husband (Warren) I wouldn't want to go for anyone terribly famous, because I wouldn't want him to outshine Annie. For Sheila? Someone quirky like Bette Midler or even Kathy Bates would do - in flamboyant colors, of course. Which one of your characters is most like you, and why do you say that? I'm a lot like Annie Peterson, truth be told. I find myself "in over my head" a lot, and I tend to think I can solve most any problem. She's going through some empty nest issues, and I can certainly relate to that. Like Annie I also find myself turning to God for the real answers. I'd like to say I'm funny like Sheila, but I patterned that character after my best friend Kay, who always keeps me laughing. Kay is always coming up with funny sayings, and all-the-more, now that she knows I need material for Sheila to use. 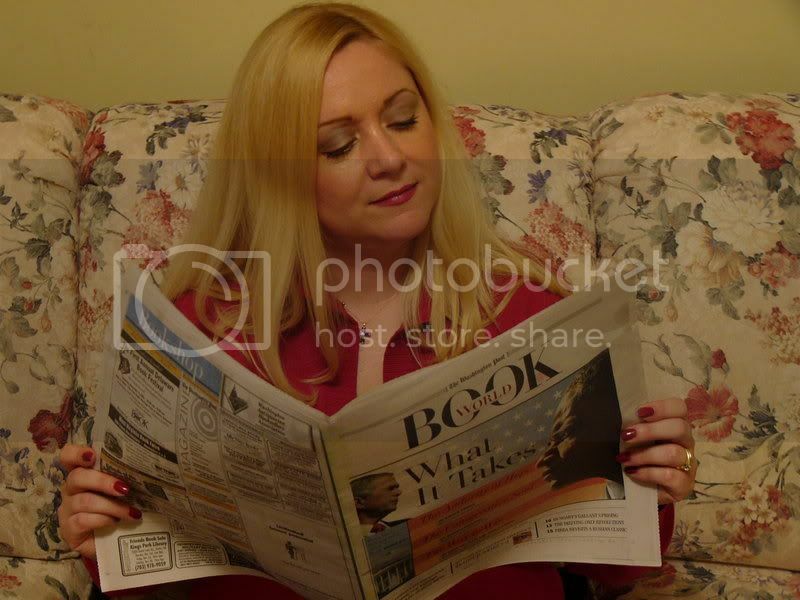 What do you want your readers to know about you? I love God with my whole heart, and no matter what troubles come my way, (no matter what mysteries I need to solve) I will never ever give up on my faith. Never. I will keep on keeping on, no matter what! Now a little about the story. Annie Peterson, mother of the bride-to-be, works to solve the riddle of the missing fiancé in Gone with the Groom, a fun and riveting romantic mystery. The best laid plans of brides and men go awry when Annie Peterson's future son-in-law Scott disappears. Have pre-wedding jitters caused Brandi's fiancé to take flight, or are more sinister forces at work? Annie puts her super-sleuth powers to work and sets about to solve the riddle. Who could be behind this apparent kidnapping caper? Maybe the drug company Scott works for has hidden motives. Perhaps it's the handiwork of Otis, Scott's sneaky dad. But then again it could be the shady wedding photographer or even have something to do with the political campaign of Scott's mother. Maybe her opponent is somehow involved in this. Will Annie solve the mystery and recover the missing groom in time for the couple to say their wedding vows? The review will also be in theJuly newsletter that will go up on my web site later this week. I think you will enjoy this book. For a chance to win a free copy, leave a comment on this blog. Also leave comments on Nikki Arana's interview and Nancy Toback's interview. Cherie J won a copy of A Bigger Life by Annette Smith. Kimberlee won Love's Lie by Seye Oke. You both need to send me your mailing address, so I can start these books on their way to you. Just click on the email link under my picture. Remember, if you sign up for FeedBlitz, also under my picture, you will be notified when there's a new post on the blog. I will be posting two interviews a week this month, but not always on regular days as I try to do. I will be going on a trip, and I'm not sure if I'll have Internet connection while I'm gone. There's still time to leave a comment on the Interviews by Nikki Arana and Nancy Tobak. Have a wonderful holiday this week.